Years ago, a common hospital patient flow bottleneck was the telemetry unit. This was often because patients who did not meet admission criteria were placed in that unit because the attending felt the patient was at risk of a DCC and telemetry was the lowest acuity unit with monitoring. Consequently, the telemetry beds filled up, sometimes resulting in the hospital going on ambulance diversion. A couple of changes resulted from this situation. Some hospitals adopted what is called variable acuity units or universal patient rooms. Now when a patient’s condition deteriorated, rather than transferring them to a higher acuity unit, the level of care is increased to support an appropriate clinical intervention to arrest the deterioration. This higher level of care typically included patient monitoring and perhaps a lower nurse to patient ratio. The goal is to keep patients on their service unit whenever possible and avoid the extended LOS that results from transferring patients between units. At the same time some hospitals adopted house-wide monitoring without the conceptual framework of variable acuity units. The ability to monitor patients in most or all patient care areas was implemented so that patients could be monitored anywhere. Obviously, higher acuity patients would be in higher acuity units that already have monitoring. Most patients in the house-wide monitoring scenario are patients at risk of a deteriorating clinical condition. In all three of these examples, the monitor used was almost always the telemetry pack. Let’s look at why. Cost effective — increasing monitored patients is expensive. Monitoring low acuity patients in case their condition deteriorates doe not require a mid priced multi parameter monitor like those typically found in EDs. Adopting more pervasive monitoring adds to operating costs without offsetting increases in reimbursement (unless there is a deterioration). Well tolerated by patients — These are low acuity patients who are fully conscious and ambulatory. They don’t want a bunch of tubes and wires between them and a wall or pole mounted device. Nor do they want something that’s constantly alarming and keeping them awake. Efficient for caregivers — Most nurses on low acuity units are not certified to read ECGs, and they don’t have time to care for patient monitors and sensors that generate false/positive alarms or nuisance alarms due to motion artifact or leads-off conditions. Monitoring for DCC must only generate actionable alarms with easy to use alarm notification. The devices must be easy to apply to patients, require minimal maintenance of sensors and the device, and address the back-end function of alarm notification and response. For the past 15-20 years, the patient monitor that has come close to these requirements is the telemetry pack. At about $8,000 per monitor, telemetry packs are considerably less expensive than the typical multi parameter patient monitor. They’re well tolerated because of their size and because they’re patient worn, all the cables can be out of the way underneath the patient’s gown. The result has been the frequent purchase of telemetry packs — not for patients with arrhythmias, but for patients at risk of a deteriorating clinical condition. The fact is, telemetry packs really fall down on the job of DCC monitoring. The ideal physiological parameters for determining DCC are the common vital signs, especially respiration rate, blood pressure, heart rate, and SpO2. Once a patient starts to deteriorate, many are almost in a code condition by the time they start to throw arrhythmias, too late for an early and inexpensive intervention — the kind with the best outcomes and highest survival rates. The principal physiological parameter provided by telemetry, ECG, is also a source of problems. First are all the sensors that require skin prep, careful application, maintenance and replacement to minimize leads-off and false positive alarms. These ECG sensors are also very susceptible to motion artifact, generating alarms when patients roll over in bed, brush their teeth, etc. Traditionally, telemetry packs did not have any kind of display or indicator of an alarm condition on the monitor itself. This meant caregivers had to depend on a central station to keep tabs on patients. And because caregivers have little time to hang out at the central station, adjustments were needed to make sure alarms were noticed. Increasing alarm volumes, using message panels and slave displays are common methods to mitigate these alarm notification limitations. In many cases, using telemetry packs has increased alarm fatigue. Between numerous ECG sensors, motion artifact, mitigations for limited alarm notification capabilities, the result is a high volume of alarms, many of which are non-actionable nuisance alarms. 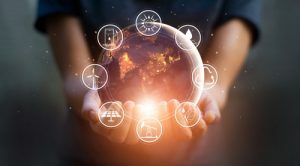 Over the past 10 or so years, a growing number of entrepreneurs have recognized the opportunity resulting from this gap between clinical need and available solutions. Solutions intended to identify patients at risk of a deteriorating clinical condition fall into 3 categories. The biggest is highlighted in the screen capture at the top of this post, wireless patient worn sensors or monitors. Passive sensing technology is the next category where physiologic readings are made without having to physically touch the patient. Finally, there are the data analysis and notification solutions that apply varying levels of clinical decision support to analyze the patient’s physiological data (acquired through some other means). I’m currently tracking total of 16 companies that make claims to monitor patients at risk of a deteriorating clinical condition. The Vital Connect HealthPatch MD and associated iOS app. Wireless patient worn solutions can be divided between reusable miniaturized monitors strapped to the patient — typically an arm or wrist — and band-aid style disposable units. 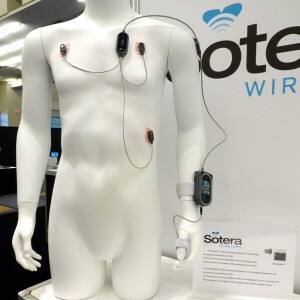 Nihon Kohden and Sotera Wireless are good examples of the reusable miniaturized monitor, while the Toumaz Sensium and Vital Connect are examples of the band-aid disposable approach. The disposable Intelesens device is a bit of a hybrid, being mostly a disposable with a small reusable component. 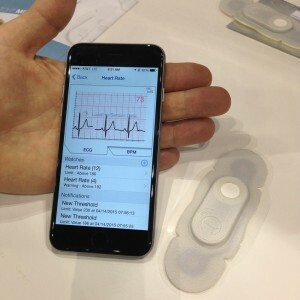 The band-aid approach has the advantage of including the ECG sensors as part of the device. Miniaturized monitors, and some band-aid solutions, use separate sensors that are attached to the patient. nuisance alarms, bed exit alarms, fall detection, patient position for evaluating certain physiological parameters and bed turns to avoid bedsores. Most passive sensing technologies used for this application are some sort of radio frequency energy beamed at the patient, from which a reflected signal contains physiological data that is extracted and used to monitor the patient. The physiological parameters acquired by this technology tends to be limited to heart rate, respiration and perhaps motion. The sensors that collect patient data for these solutions is made up of a pad or plate that is placed under the patient, on top of or under the mattress. The motion parameter can be as simple as just patient movement, or can be used to report patient agitation scores, bed turns (to avoid bed sores), and perhaps more accurate bed exit alarms. If it was easy to identify patients with a deteriorating clinical condition, this growing market segment would not exist. The approach to the DCC challenge by this group of companies is to acquire a patient’s physiological data from a separate multi parameter patient monitor and apply specialized algorithms to identify DCC in a reliable and unambiguous way. 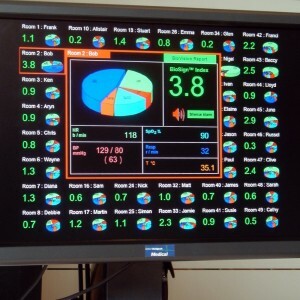 This OBS Medical display shows the results of data analysis on patient data. Each of these solutions produces a score or index that is used to indicate a deterioration of the patient’s clinical condition. Across the different solutions each score is different as is the algorithm that generates the score. These algorithms take the common parameters found on bedside patient monitors, purchased separately, such as, heart rate, ECG, respiration, SpO2, and temperature. The vast majority of solutions based on bedside monitors take an existing product such as continuous vital signs monitors and use them for DCC. A couple of exceptions to this are the SpO2-centric solutions from Medtronic/Covidien/Nellcor (VitalSync) and Masimo (Patient SafetyNet). These last two solutions address many key DCC requirements, but they lack the patient-friendly features of being patient worn (with no cables connecting the patient to a bedside device) and wireless (for ambulatory patients). All of the products, features and services needed for a complete working solution, capable of fully meeting requirements, are known as the whole product solution. For this exercise, we’ll exclude the data analysis and notification solutions as they are quite different and the bedside monitors as everyone is familiar with them. Let’s start with the device itself and related sensors. The next piece is some sort of bedside or patient worn display. In the event of an alarm condition, notification of some sort is needed. 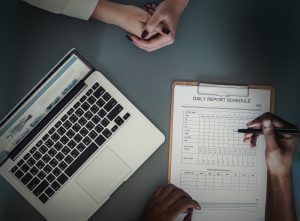 Data management provides the means for remote surveillance (at the central station or nurse carried), event review and the ability to review and analyze data across patients. A more recent piece of the whole product solution for patient monitors is the automatic conveyance of vital signs data into a flow sheet in the EMR. This next group revolves around services starting with the vendor providing basic training and an implementation project plan, advice on clinical indications for who should be monitored, a sample order set for the CPOE system, and example policies and procedures for using the new solution. 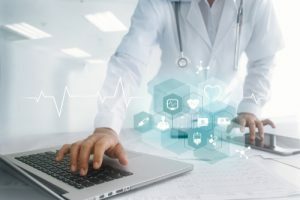 Moving the data from the monitor acquiring the patient data to the rest of the system requires some sort of networking, so configuration and integration into the enterprise network environment is needed. Finally, systems integration for HL7 services and any integration with a third party alarm notification solution is needed. This has been our first look at monitoring for patient at risk of a deteriorating clinical condition. We’ve looked at the evolution of DCC monitoring and why new specialized solutions have been brought to market. 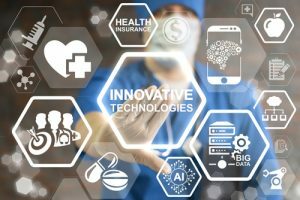 We next considered clinical requirements and the types of DCC monitoring solutions that have evolved and the specific companies who have developed solutions. And we ended with a brief survey of all the key components, capabilities and services needed to successfully implement and use DCC monitoring.